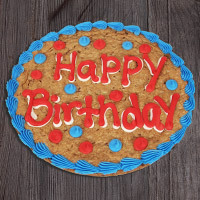 Help them celebrate with this delicious dessert! 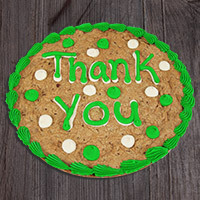 Perfect for this special occasion, our 12-inch cookie cake is baked with a generous amount of rich chocolate chips and artfully decorated with sweet vanilla frosting, making it the sweetest way to praise their accomplishments! Sent this to my daughter and partner to help them enjoy a recent promotion. It arrived the next day and was declared delicious all within 24 hours of ordering! What a great way to help celebrate from across country. My son called and said he loved it and it made it exactly when you said it would!! 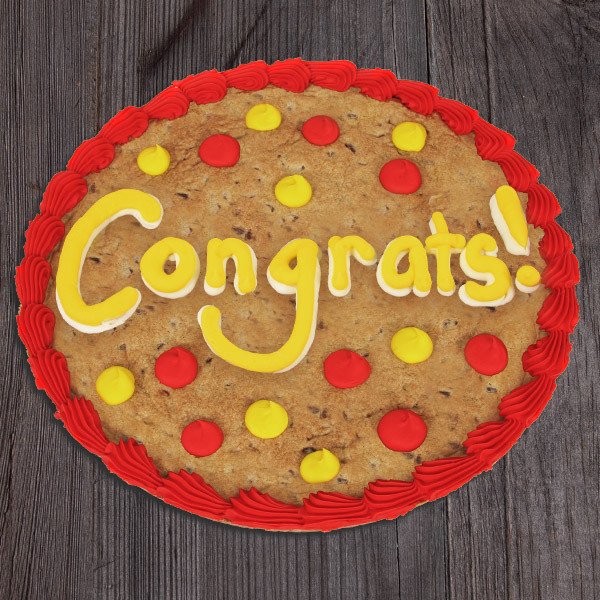 I purchased a Congratulations cookie last week. It was delivered when they said and more than surpassed my expectations in presentation. Big 5 star. Will definitely use your services again. Higly recommend to anyone looking for a special gift. Thank you!! !